Beakers are generally cylindrical in shape, with a flat bottom. Most also have a small spout to aid pouring as shown in the picture. 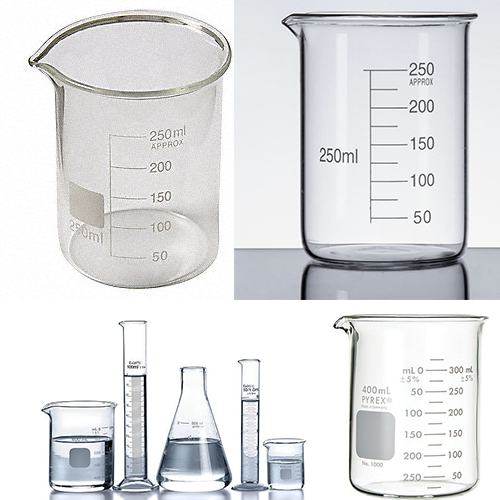 Beakers are available in a wide range of sizes, from one millilitre up to several litres.